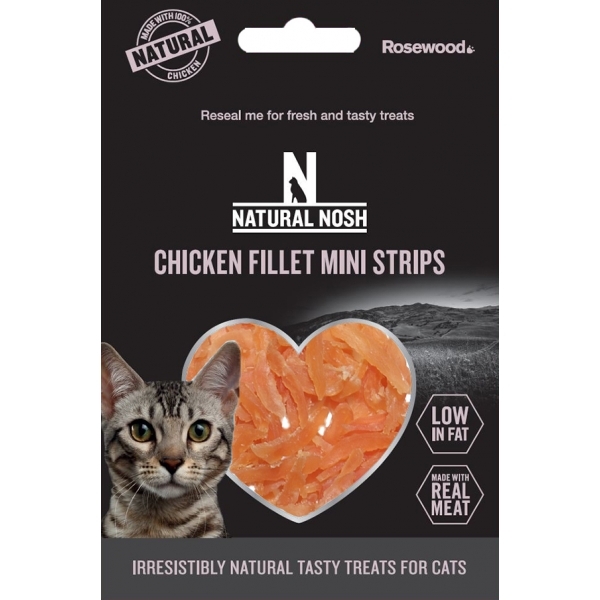 Natural Nosh treats are made using the finest cuts of natural 100% meat. All Natural Nosh treats are low in fat and a rich source of natural protein. They also contain no artificial colourants or flavourings. All products come in a resealable pouch pack for freshness. Made with 100% pure chicken breast fillet! Incredibly high palatability which is absolutely critical for cat treats. Cats absolutely love them! Made with 100% pure duck breast fillet! There are currently no questions for Natural Nosh Cat Treats - be the first to ask one!